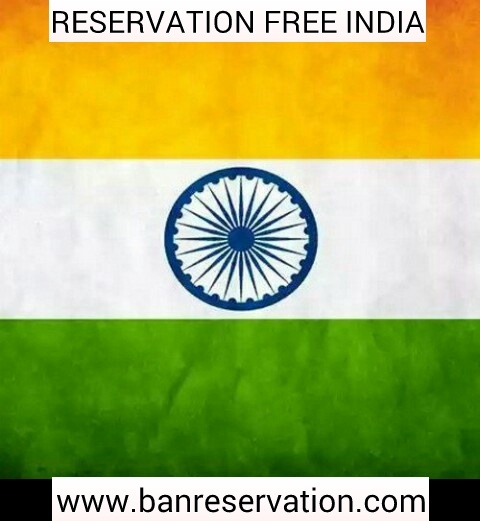 Reservation should be switched off for country bright future. Bright future points at removal of reservation. Don't think that I am saying wrong to you people, but I am saying that this system is not correct. This system was for 10 years for the upliftment of backward classes but now it is OK. Now India is grown up and it should be given new rules. If this reservation system continues then there will no friendship between general category people and SC category people. We all will be divided and we all know united we stand divided we fall. Soon we will see war in between Indians due to reservation policy. If this continues. See how will you feel if you are a general category child and scored 80% marks and didn't get admission in good college while a SC category child who scored 50% marks get admission in good college. It is not fair. It is downfall of our country that a person with good marks is rejected due to his category, which is not his/her mistake. Now India is grown and we should also increase the thinking level of our mind. With time every thing changes and change is always positive. 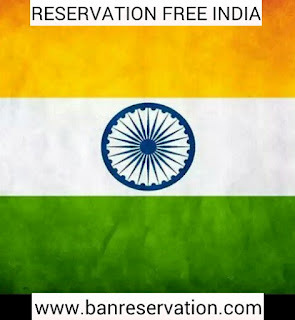 Today every general category people want a reservation free India. It is the voice of Indians. I saw many SC category people who are rich and still taking the joy of reservation system. Today rich are getting more rich and poor are getting poorer. ALL ARE PEOPLE OF GOD AND SHOULD BE TREATED AS EQUAL.